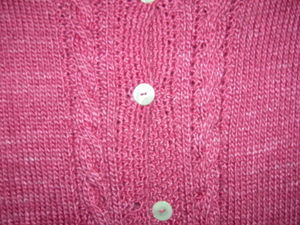 Just a close-up of the silk cardigan. 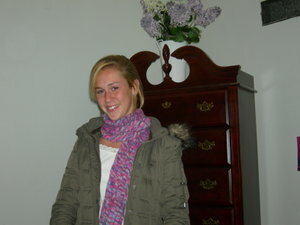 Here is another picture of the Cashmere Clapotis. 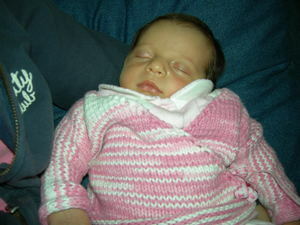 Here is the Mason-Dixon Baby Kimono. 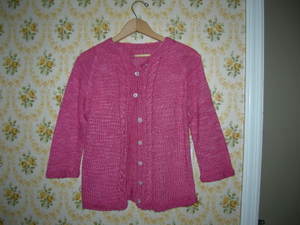 It is knit out of Peaches and Cream worsted by Elmore-Pisgah Inc. I knit this little Alchemy Silk Card'i over the Summer. 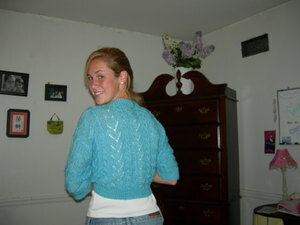 This sweater was also a great knit for the warm weather. The little brother with the big bag. This is the pre-felt shot. The Noni Bag is all done and it took her all of about 5 minutes....Now, I'll have to buy her a new project. 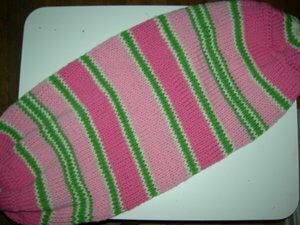 These socks were knit on size US 2 needles and they were great FUN to knit. 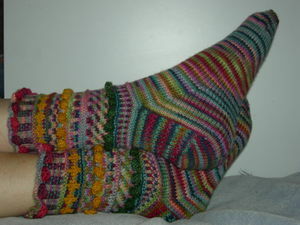 I loved knitting them but I didn't know if I would really wear them. Guess what?....I have already had them on my feet several times this year. 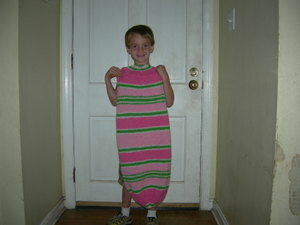 Here is the latest Clapotis. I used A.L. Sauveterre Cashmere and size US 6 needles. 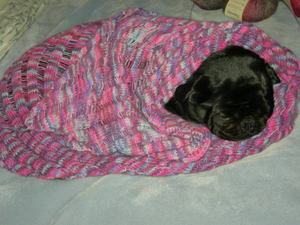 Pepper Ann the Pug thinks that I made it just for her. 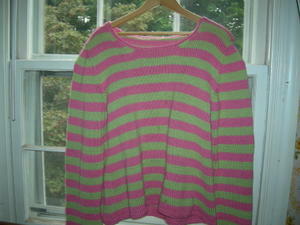 This is the pink and green Rowan sweater for the Summer. It is Rowan Cotton DK. Just another picture of the shrug on a cute girl.